Sweden possessed overseas colonies from 1638 to 1663 and from 1784 to 1878. The subject of this article was previously also known as Sweden. For other uses, see Sweden (disambiguation). Map of the Swedish Empire with all of the territories that it possessed at different time periods shown together. Fort Apollonia, presently Beyin: 1655-1657. Fort Batenstein, presently Butri: 1649-1656. Fort Witsen, presently Takoradi: 1653-1658. By the middle of the 17th century, the Swedish Empire had reached its greatest territorial extent. The Swedes sought to extend their influence by creating an agricultural (tobacco) and fur trading colony to bypass French, British and Dutch merchants. The charter included Swedish, Dutch and German stockholders. Once they landed they established, Fort Christina (now Wilmington, Delaware), named after Queen Christina of Sweden. Many of the settlers were Finnish; since until 1809 Finland was governed as the eastern third of the kingdom of Sweden. The settlement was actually an invasion of New Netherland since it was Dutch territory. The founder and first governor, Peter Minuit, had been Director-General of New Netherland from 1626 to 1633. Disgruntled after being dismissed from his post, he led a Swedish expedition to a location which he knew to be strategic as well as a thorn in the side of his former employers. Minuit died on a return trip from Stockholm in a hurricane near the Caribbean island of Saint Kitts. The colony would establish Fort Nya Elfsborg north of present-day Salem, New Jersey in 1643. In May 1654 the Dutch Fort Casimir, located in present-day New Castle, Delaware was captured by New Sweden. As a reprisal, the Dutch governor Peter Stuyvesant sent an army to the Delaware River, which obtained the surrender of the Swedish forts. Saint Barthélemy is the only Caribbean island to have been historically a Swedish colony for any significant length of time, Guadeloupe only having been one briefly, at the end of the Napoleonic Wars. As a result of Sweden's support of France's enemies during the Napoleonic Wars, the island of Guadeloupe was ceded to king Charles XIV John personally, not to his Swedish state. However a year later the island was given to France by the Treaty of Paris. Sweden then forced a settlement with Great Britain because it had been guaranteed the island which was strategically close to its other Caribbean colony. This led to the Guadeloupe Fund which guaranteed Sweden 24 million francs. Because of how the money was used, Sweden was then given an additional 300,000 Riksdaler under the Riksdag of 1815 every year. The last installment was paid in 1983. In addition to these the Swedes briefly attempted to settle Tobago in 1733, but were driven away by native tribes, and Tobago was eventually claimed by the English. Sweden temporarily controlled several settlements on the Gold Coast (present Ghana) since 22 April 1650, but lost the last when on 20 April 1663 Fort Carlsborg and the capital Fort Chistiansborg were seized by Denmark. In 1652, the Swedes took Cape Coast (in modern Ghana) which had previously been under the control of the Dutch and before that the Portuguese. Cape Coast was centered around the Carolusburg Castle which was built in 1653 and named after king Charles X Gustav of Sweden but is now known as the Cape Coast Castle. During this time the small Swedish slave trade began. However, after the fall of New Sweden to the Dutch, the slave trade ended. It would later be rejuvenated in 1784, when Sweden's monarch, Gustav III, began negotiations with France with a view to creating a new alliance between the two countries. Gustav offered Gothenburg as an entrepôt to the French, in exchange for the Caribbean colony of Saint Barthélemy, in addition to subsidies. Although Sweden was successful in acquiring the island in 1784, the population of the colony was less than 1000 people, and neither were particularly propitious trading ports—sugar and cotton only provided four shiploads a year, and many of the other resources were only produced in large enough quantities to provide subsistence for the inhabitants. However, the islands were close to the British and French trading posts of the Leeward and Windward islands. A new town was also constructed, Gustavia (named after the King), and this facilitated trade. Within a year, the population had doubled and the King saw fit to form the Swedish West India Company. 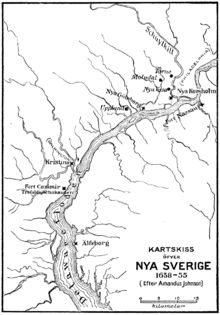 The Napoleonic Wars (1803–1815) benefitted trade, as did the opening of free trade with Sweden in 1806; the population had continued to increase, reaching approximately 5000 by 1800. Discounting a brief period of British occupation from 1801 to 1802, the colonies continued to thrive. In 1811, 1800 ships visited Saint Barthélemy; and from October 1813 to September 1814, 20% of the U.S.'s exports passed through the island. The island was notable for its liberalism, particularly in regards to religious toleration. In Sweden, Lutheranism was strictly adhered to; people were obligated to attend a number of church services a year, and adherence to other religions or denominations was against the law (conversion to Catholicism, for example, often led to people being exiled). However, these two islands were inhabited by such a diverse group of people from European backgrounds, that French and English were also accepted official languages. On Saint Barthélemy, in 1787, only 21 Lutherans resided there, compared to over 500 Catholics, as well as several hundred people from different Protestant denominations. The government did not seek to suppress this: indeed, they ordered Saint Barthélemy's governor, Rosenstein, to salary a Catholic priest to come from Saint Martin twice a month. Wikimedia Commons has media related to Swedish colonial empire. This page was last modified on 26 July 2015, at 07:08.